From Mediaite: Obama omits ‘Under God’ from the Gettysburg Address and outrage proceeds to ensue. Reports Mediaite, “In a recorded YouTube recitation of the Gettysburg Address, President Obama omitted God from the final section of the Abraham Lincoln‘s famous Civil War speech. 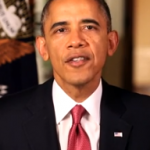 While reading the address in its entirety, Obama read the line “that this nation, under God, shall have a new birth of freedom” without the words “under God.” The video was uploaded as part of a promotional site for Ken Burns‘ new PBS documentary. Dozens of celebrities, politicians, and all living presidents recited the address in full and posted the video to the site. Burns also created a montage mashing together all of the recitations.” Read the full story and watch the YouTube clip here. 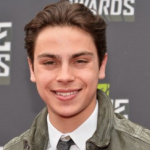 From Gossip Cop: Jake T. Austin of “Wizards of Waverly Place” was possibly involved in a hit-and-run car crash on Tuesday. Writes Gossip Cop, “An Audi smashed into three parked vehicles in Los Angeles at approximately 3 a.m., causing major damage. According to the incident report obtained by TMZ, the Audi is registered to the 18-year-old actor, whose real name is Jake Szymanski. It’s not clear whether Austin was behind the wheel at the time of the incident. Either way, eyewitnesses report that shortly after the accident, the driver and his passengers called a car service to pick them up, fleeing the scene and abandoning the Audi before police arrived.” Read the full story here. 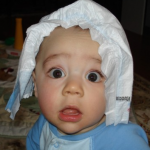 From Geekosystem: A new “Smart Diaper” can track a baby’s health with smartphones. Writes Geekosystem, “Smart diapers bring obsessing over infant health to a new level by letting you check up on your baby’s vital stats with your smartphone. The diaper has a small patch that tests urine and gives you all kinds of pee information to overreact about and bother doctors with. Oh, and it can detect early signs of infection and diabetes, so that’s good. Of course, doctors monitor all of these things at regular checkups, but the smart diapers aim to track a baby’s health more accurately, since there’s a big difference between getting results from a doctor once in a while and getting consistent results from several diapers a day. The patch on the diaper works by changing colors in different areas due to urine content, and then an app on your smartphone uses its camera to survey the results.” Read the full story here. 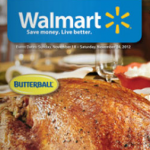 From Styleite: A popular cosmetics brand is giving back for the holidays and you can help just by buying new make up! Reports Styleite, “This season, one of our favorite wallet-friendly brands Jane Cosmetics is continuing its commitment to charity by launching “The Gift of Confidence & Care” campaign with a buy one, give one to a neighbor in need promise that will benefit women in local shelters. On top of their donations, Jane’s team of style experts will travel to four cities to provide makeovers for the women participating in the campaign. “Women deserve to feel empowered to live their lives with confidence and courage,” said Jane Cosmetics CEO, Lynn Tilton, in a statement.This pledge is part of the brand’s year-round mission to support women’s initiatives.” Doing good and looking good all in one! Read the full story here. 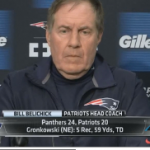 From SportsGrid: Bill Belichick’s post-MNF press conference was amazingly awkward. Reports SportsGrid, “We know that the Patriots lost to the Panthers in heart-breaking (if you’re a Pats fan) fashion last night, after no flag was thrown — when it likely should have been — on the final play. So try to imagine what talking to Pats coach Bill Belichick would be like immediately after that loss. In fact, imagine a room full of people talking to him, for six and a half minutes. This video is at least 20 times more awkward than whatever you imagined.” Read a recap and watch the press conference here. 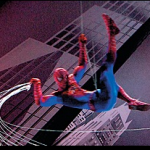 From The Mary Sue: The Spider-Man musical is leaving Broadway. Reports The Mary Sue, “The problem-laden extravaganza (and Broadway’s most expensive musical ever) is finally calling it quits after three years. When Spider-Man: Turn off the Dark first debuted in 2010, it quickly gained notoriety for a long slew of injuries to cast members, record-setting delays, a highly-publicized split with the original director, and, of course, a budget of $75 million, more than any other show to date. The production became a running joke among Broadway fans for its reputation as an expensive disaster. However, once it had finally fixed most of its script and logistical problems and exchanged Julie Taymor for Philip William McKinley as director, the show actually did well: at once point in 2012, Spider-Man earned $2.9 million in one week. This success was not sustainable because fancy effects and publicity storms do not a hit production make.” Read the full story and find out more details here. From The Jane Dough: New York’s own Lady Gaga hosted SNL this past Saturday and the numbers prove it was a hit. Reports The Jane Dough, “Eccentric songstress Lady Gaga hosted SNL for the first time this weekend and while we appreciated her enthusiasm but ultimately found her over-the-top performance a bit distracting, the numbers tell a different story — Gaga’s Little Monsters came out en masse, giving the show its best overnight rating since March, Variety reports. Overall, we must credit Gaga for her willingness to poke fun at her pop star persona and her commitment to every concept and character that the SNL writers threw at her.” Read the recap and watch clips here.